Analog Devices, Inc. on October 25, 2016, introduced highly integrated Rx/Tx converters that significantly improve the reliability, cost, and time to market for microwave and millimeter wave mobile operators and telecom equipment manufacturers. The new HMC8100 and HMC8200 Rx/Tx converters uniquely incorporate a wide array of functions, replacing multiple discrete parts to provide a single-source, high-performance solution for microwave backhaul applications. Since reducing the number of components simplifies the design, manufacturers can now be market-ready faster. The significant reduction in board size and associated power consumption further improves reliability and reduces both system cost and operating expenses. The resulting telecom equipment is more dependable in the field, and enables mobile operators to provide a high-quality mobile phone service experience for the end customer. 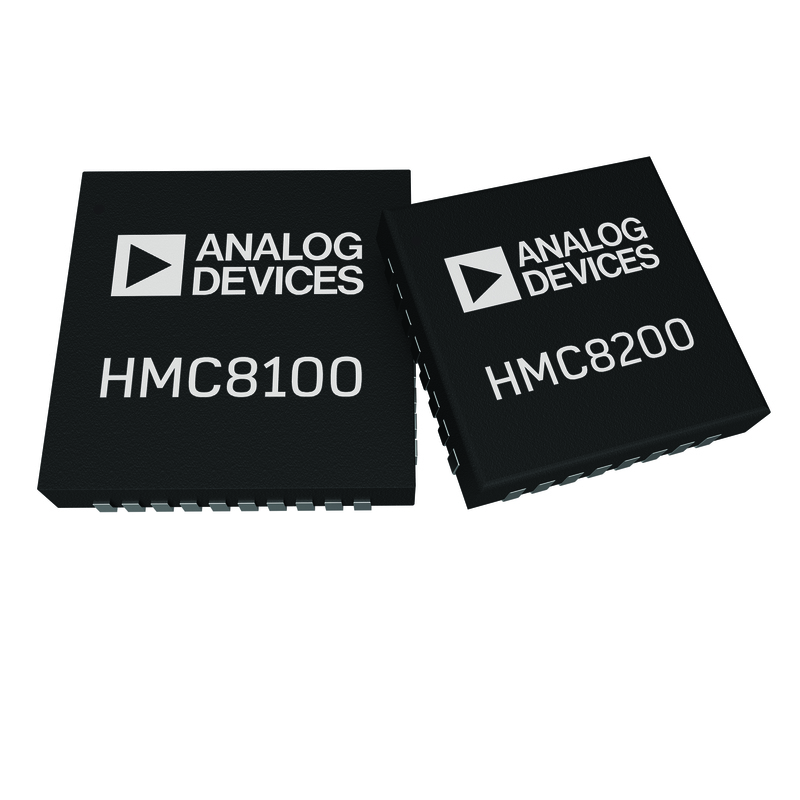 The HMC8100 IF receiver chip converts RF input signals ranging from 800 MHz to 4,000 MHz down to a single-ended IF signal of 140 MHz at its output. The device includes two voltage gain amplifiers, three power detectors, a programmable automatic gain control block, and select integrated bandpass filters with 14 MHz, 28 MHz, 56 MHz, and 112 MHz bandwidth. The HMC8100 supports all standard microwave frequency bands from 6 to 42 GHz. The HMC8200 IF transmitter chip converts the industry standard 300 MHz to 400 MHz IF input signal to an 800 MHz to 4000 MHz single-ended RF signal at its output. With IF input power ranges from −31 dBm to +4 dBm, the HMC8200 provides 35 dB of digital gain control in 1 dB steps while an analog voltage gain amplifier continuously controls the transmitter output power from -20 dBm to +5 dBm. The device also features three integrated power detectors.